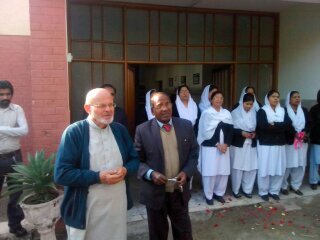 The Community of Sant'Egidio is taking care of Fatima Hospital in Sargodha, Pakistan, one of the most important treatment centers in Punjab, run by the Catholic Church, providing as often as possible new medical equipment. In the last occasion, at the very beginning of January, were delivered beds and everything fit for heart ventilation and medical exams. wrote to the Community: “Starting the new year with this material is a sign of great hope. We all, doctors and hospital staff, our bishop and the patients, send you many thanks and blessings, and wish you Happy New Year!”.